On Friday morning, as well as Friday evening, both Baseball Prospectus and MLB Pipeline released their top prospect lists for the year. For BP it was the top 101, as has become customary, and for MLB Pipeline it was the top 100. With such an influx of prospects at the big league level last season, much will be expected of the prospects on these lists in 2016. While both of these lists contain a lot of the same players, the rankings of the players in each are quite different in some cases. While the top three of each list are exactly the same, the 4-10 slots show a little bit of variance. In total, 13 players are listed between the two lists. These are the players voted to have the most impactful future in the major leagues. For those players, they are hoping to join the ranks of Kris Bryant, Carlos Correa, and all the other top prospects that emerged in the big leagues in 2016. Below is a little more about some of the guys mentioned above. The consensus top prospect on both lists mentioned above, and likely the top prospect on most prospect lists for 2016, is left-handed hitting shortstop Corey Seager. The younger brother of current Mariner Kyle Seager, Corey exploded on to the scene at the end of last year, solidifying his spot on the Dodgers for 2016. Hitting for both contact and power, Seager has the potential to be one of the best hitting shortstops in all of baseball. Despite his strong glove at short, Seager may better profile as a third base in the long term. Either way his bat will play well at any position in the future. Given his late season success in 2015, this will surely be Seager’s first and last year as the top prospect in all of baseball. Despite quite a bit of struggles with injuries over the last several years, and being displaced by Seager on most prospect lists, Byron Buxton is still an elite prospect in his own right. Buxton did struggle offensively at the big league level in 2015, but based on his speed and defense alone, Buxton should be an impactful major leaguer in the immediate future. Buxton has some of the best speed in the entire minors as well as gold glove caliber defense in center field with a fantastic throwing arm. If Buxton can overcome his injuries, as well as his missed development time, he should profile as a perennial All-Star for the Twins in the years to come. 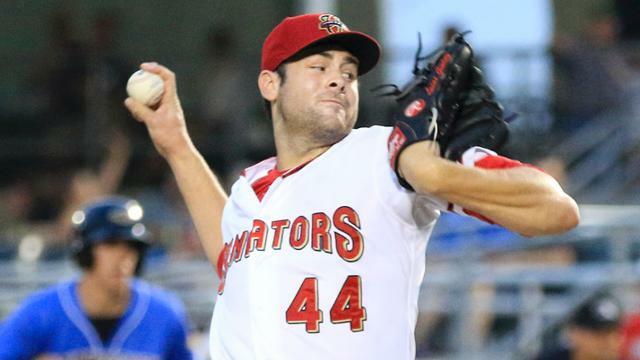 The top pitching prospect in all of baseball, Lucas Giolito appears ready to make his impact on the big leagues in 2016. Giolito is considered to have the best fastball of any prospect, hitting mid-to-upper 90s, with a plus curveball to go along with it. He commands his curve well, and can throw it any time in the count. With improvements to his changeup over the last several years, Giolito looks to have three plus pitches, making him a potential frontline starter in the future. With his big size, at 6’6’’, 255 pounds, Giolito has all the makings of an ace in the big leagues for the Nationals long term. Despite being only 19 years old, Julio Urias has solidified himself as the best left-handed pitching prospect in all of baseball, and perhaps the second best pitching prospect overall, right behind Lucas Giolito. Urias also sits at mid-to-upper 90s with his fastball, and works in a plus curveball and changeup to deceive hitters and maintain dominance on the mound. Urias has all the ingredients to become a #1 starter in the league, but still needs to prove himself over a full season, as he has never exceed 100 innings pitched, likely due to the Dodgers being careful with his development. Despite being only 19 years old, Urias may force his way into the Dodgers big league rotation next season if he continues to dominate in the minors. 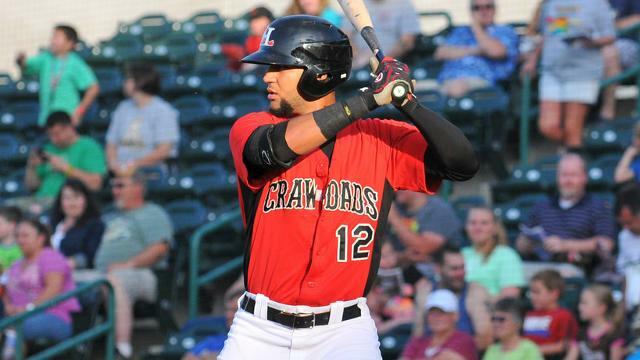 The obvious top prospect in the Phillies system, the team is putting a lot of faith in Crawford as the face of their franchise for the future. Crawford is most known for his stellar defense, fantastic range, and strong arm at shortstop. On top of that, Crawford has a great approach at the plate with fantastic plate discipline for a player his age. 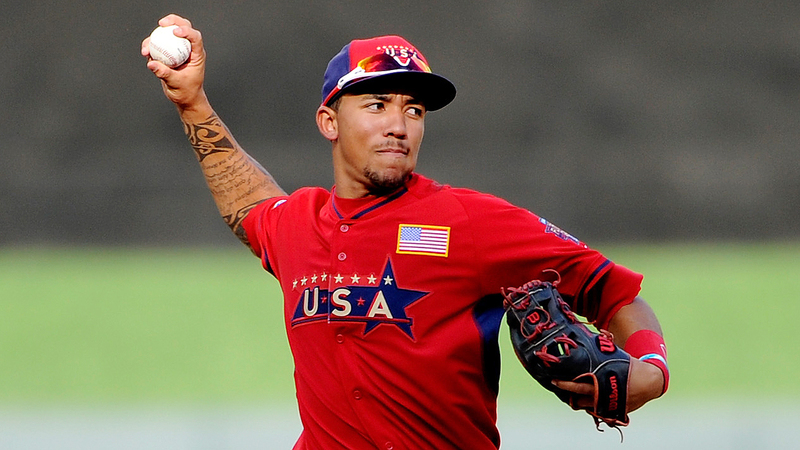 Despite being only 21 going into next season, the Phillies will not be able to keep Crawford in the minor leagues much longer, despite not wanting to start his service time clock when the team isn’t ready to compete. While the first five guys mentioned were consensus top four or five prospects, Nomar Mazara brought a little more uncertainty between the two lists. Despite being all the way at number five on the BP list, Mazara fell all the way to 18 on the MLB Pipeline list. At 6’4’’, Mazara is able to generate a lot of raw power combined with a good feel for the strike zone and all fields approach. Mazara’s below average speed holds back his defense a little bit in right field, but his strong throwing arm definitely makes up for some of that lost value. Overall, Mazara is a mature 20-year-old with all the potential in the world to succeed at the big-league level. This may not be quite the caliber of prospect class that the league saw in 2015, but there are still definitely quite a few high prospect players on this year’s prospect lists. Among the top 10, names like Seager, Buxton, Giolito and others should all make some sort of impact in the majors in 2016. As with every year, there will also be some surprises of guys lower down these lists that could come out and have stellar seasons next year. Either way, it should be lots of fun to watch all these players develop into big leaguers over the next few years. For the full prospect lists check out Baseball Prospectus and MLB Pipeline. Also stay tuned for a new weekly prospect series which will highlight some of these prospects throughout the year here at Baseball Essential. Why in the Heck is Dexter Fowler Still a Free Agent?